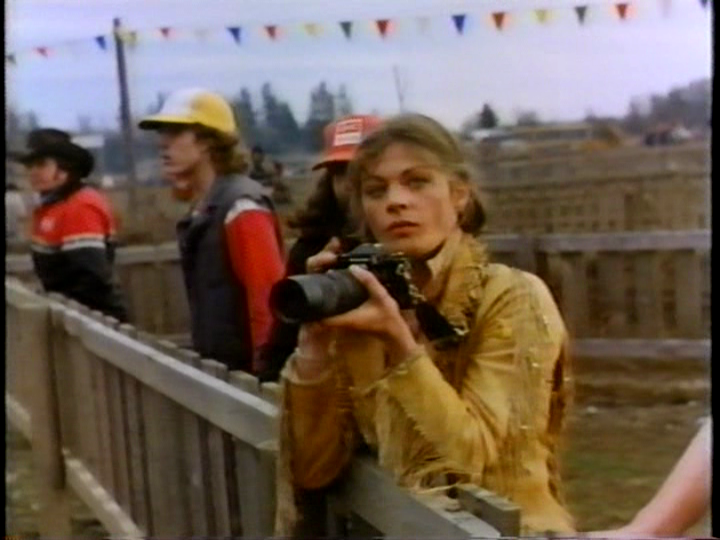 Sometime in the 1980s, Meg Foster starred in a Canadian movie called Riding Fast. 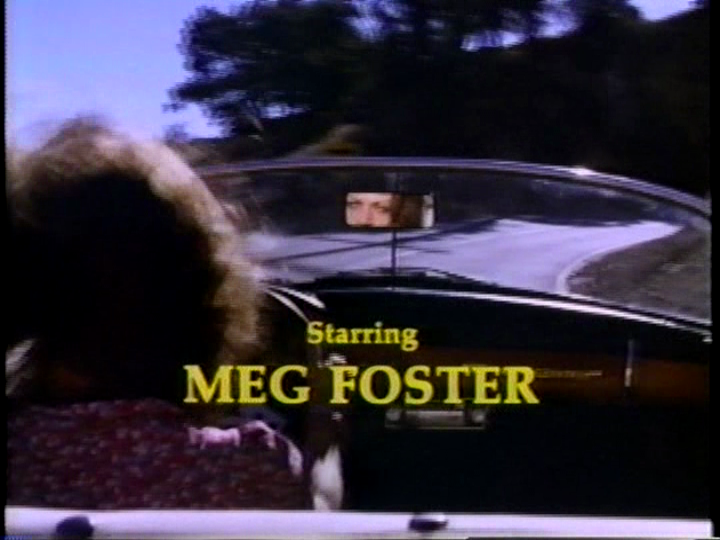 I say sometime because the year of the film's release is unclear...some sources say 1986, while others say 1988. 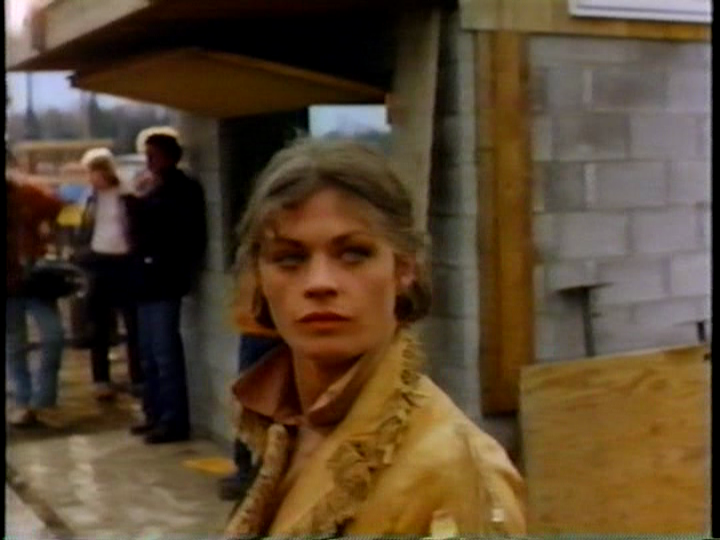 Whatever the year, Riding Fast is a great 80s movie and Meg Foster is quite beautiful in her role of an older woman (her character says she's 36 years old) who falls in love with a young man (who is supposed to be 19 or 20). 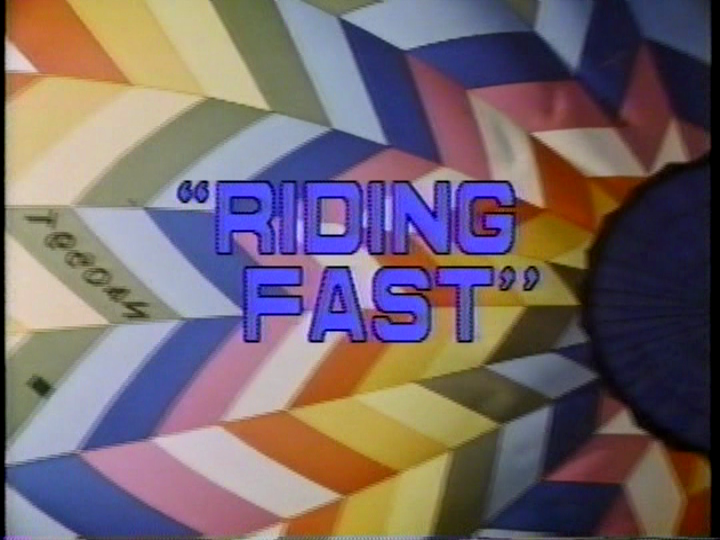 Riding Fast isn't the greatest movie of all time but why it languishes in obscurity is anyone's guess. The film has relatively high production values, a solid script and decent performances...many lesser films have been widely released on dvd. 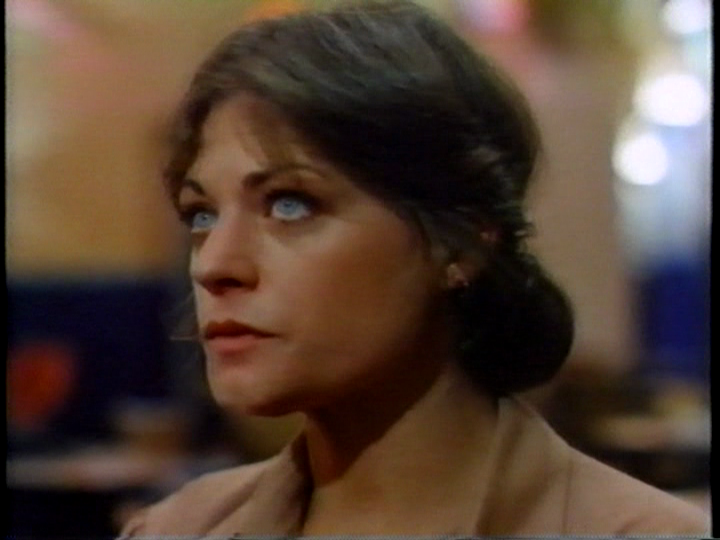 The film's greatest asset is, of course, Meg Foster. By the time this project came to fruition, she was a veteran actress and she was perhaps at the height of her physical appeal (see for yourself in the images below). 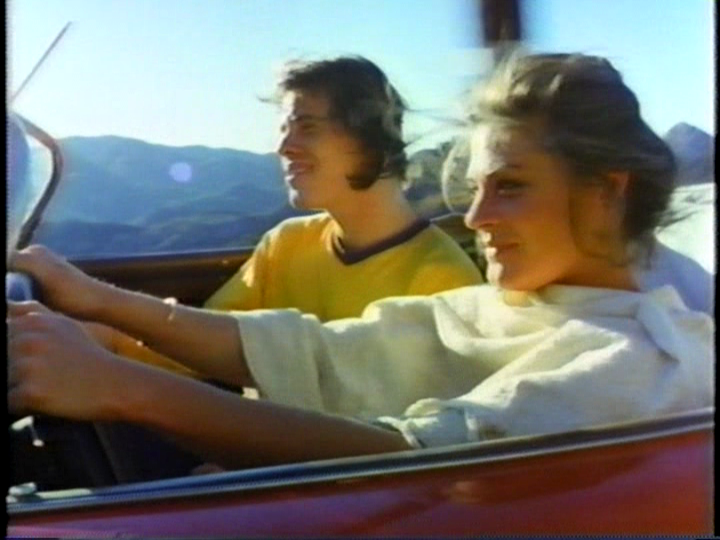 All in all, Riding Fast was a nice showcase for Meg Foster. On top of several dramatic scenes, she takes part in several love-making scenes and does a lot of kissing.